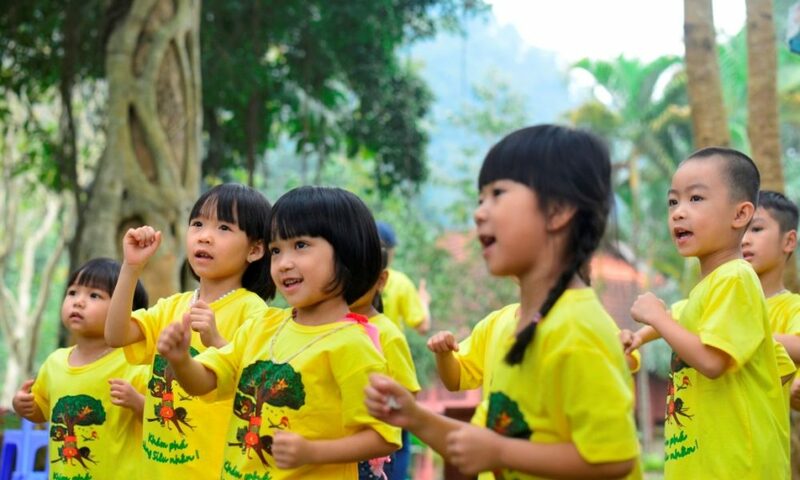 With the aim of kindling the love for nature, raising awareness and forming right attitude about protecting environment, Save Vietnam’s Wildlife just launched “Valuing Nature in Childhood Program” – a project for 1,158 kindergarten children below five years old in Nho Quan district, Ninh Binh city. “It is noticeable that Vietnamese children are more and more distant from nature and wildlife. As a result, they become isolated from the real world, lack of interest or knowledge of societal and environmental wellbeing when getting older. 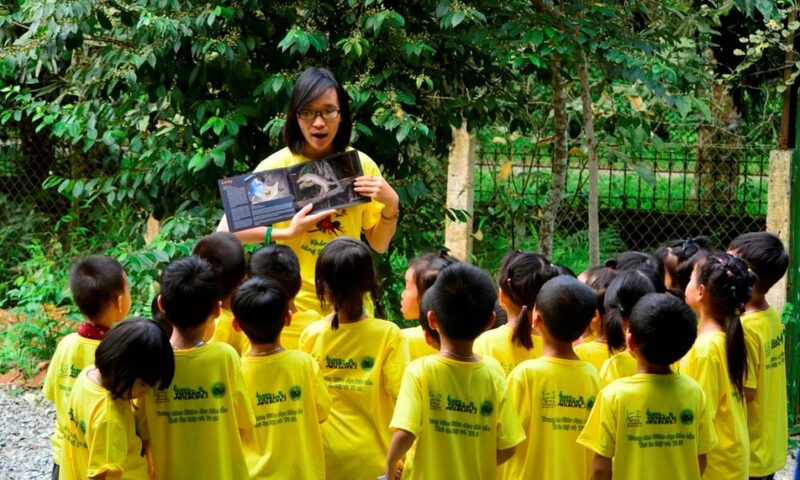 “Valuing Nature in Childhood Program” is one of our long-term conservation projects that our team is working on in order to tackle this issue.” Miss Ho Thi Kim Lan, Education Outreach Manager of Save Vietnam’s Wildlife noted. 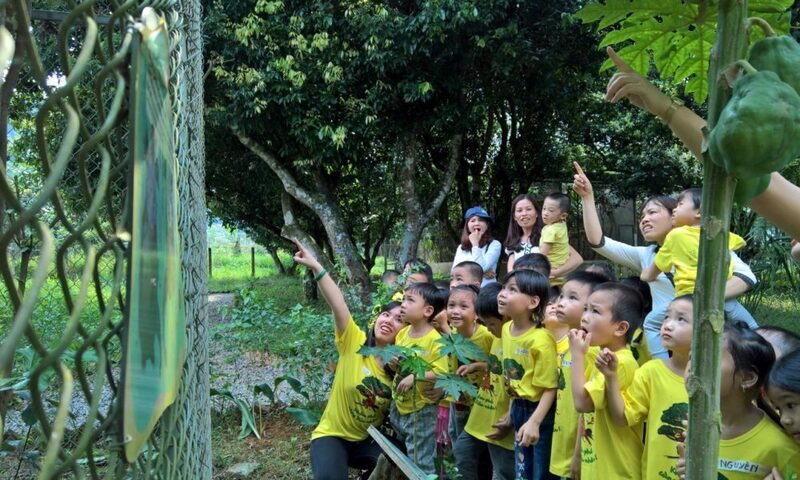 Joining the program, children have chance to experience many different activities in Cuc Phuong National Park, learn more about nature and wildlife animals as long as the conservation work that Save Vietnam’s Wildlife is carrying. All 49 trips were tailored for the needs and ability of kindergarten age. Each trip would take up to 25 kids, with the guarding from a school representative, two teachers and a member from Parent Support Group. Two weeks before, 10 March 2017, Save Vietnam’s Wildlife also held a workshop for 43 kindergarten teachers, parents and education officers from Nho Quan district to learn about wildlife conservation and the critical role of education in combating wildlife trade. The project is estimated to run until December 2017 and end with a conference about further actions to bring more wildlife conservation materials to school’s curriculum and extracurricular activities for kindergarten children. The project was funded by Welttierschutzgesellschaft e.V. (Germany), under the collaboration with Cuc Phuong National Park and Nho Quan Department of Education and Training.